Joris de Man's official website; you can find out more about the Ivor Novello Award-winning composer and his music. Maniacs of Noise is het bedrijf van o.a. 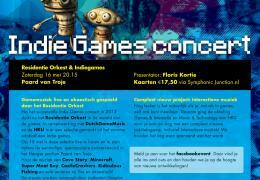 Jeroen Tel, de grootse componist achter met name vele C64-games. Jeroen Tel richte in 1987 Maniacs Of Noise op, wat zich volledig bezighoudt met het schrijven van muziek voor spellen en andere multimedia. Runesound was founded January 1 2012 by Composer, Sound Designer and Producer Oscar van der Burgh. The company focuses on quality music and sound for games and other media, like animation films and commercials. Spiresound is specialized in composition and production of soundtracks for Games, Movies and Commercials.